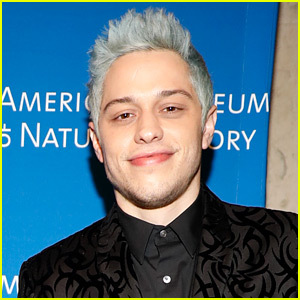 Pete Davidson is being open and honest about his mental health on his social media accounts. The 25-year-old Saturday Night Live star has always been open with fans about his struggles and he got real in a new statement on Instagram on Saturday afternoon (December 15). “I really don’t want to be on this earth anymore. I’m doing my best to stay here for you but I actually don’t know how much longer I can last. All I’ve ever tried to do was help people. Just remember I told you so,” Pete said in the note. He ended it with a heart emoji. Pete‘s statement came minutes after he weighed in on Kanye West‘s tweets about his mental health. Those tweets were seemingly triggered by a joke that Pete‘s ex-fiancee Ariana Grande made on Twitter about the rapper. The National Suicide Prevention Lifeline provides 24/7, free and confidential support for people in distress, prevention and crisis resources for you or your loved ones, and best practices for professionals. Call 1-800-273-8255 if you need help. Khalid & Normani Kordei Drop Sultry ‘Love Lies’ Music Video – Watch Now!